In The Weight of Memory, memory is the common thread running through the storylines of Chandler, Sarah, and Leigh . 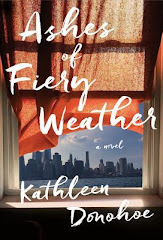 All three women are from the same hometown, witnessed the death of a boy they all loved in high school, have complicated relationships with their fathers, and ride out Hurricane Katrina together in Destin, Florida. Sounds intense and has a great cover. I love that cover and title, but doesn't really sound like a book I'd enjoy. hope you do, though! I love it when an author takes actual events and weave them into their story. This sounds like it could be good. The cover looks so sparse and scary. Whew! That sounds like a pretty emotional read. Hope you enjoy it! Oh boy Katrina. Sounds like it will be a tear jerker for sure. Thanks for sharing. 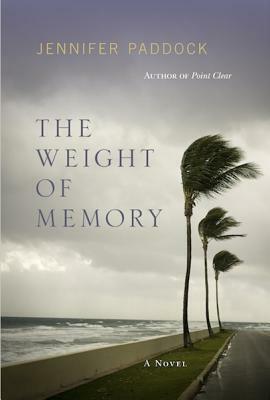 I love that title, THE WEIGHT OF MEMORY! It resonates on so many levels! This week, mine is for something amazingly unique that I just heard about! I absolutely love the cover and the title is amazing! Ah, this sounds like the kind of story I enjoy...thanks! This one really sounds great Jill. Great pick. Never heard of it, thanks for sharing! Sounds interesting. My WoW post this week: click here. Complicated relationships are usually the most interesting to read about! This is another great book - adding it to my growing TBR list! That sounds like a great read. I haven't heard of it. Great cover too. Check out our Waiting on Weds this week! I always like books that feature memory issues as part of the storyline. And there are a lot of them out there right now. I'll be looking for this one. Nice Choice. Everyone remembers Katina so a good setting for a story. This sounds like an emotional book. Not the type of book I would read, but it sounds very interesting. This one actually sounds interesting and it is a book I haven't heard of. Thanks for Sharing! Sounds like an interesting book. Thanks! I've read both of Paddock's previous books and love her writing. I think she wrote about these three characters in her first book. I'm excited to reconnect with them. Thanks for highlighting the book. Now it's on my radar. This one sounds fabulous! The title is captivating. I just added it to my list. Sounds like a good story line, and it has a neat cover. The story sounds good and I love the Destin setting! That looks cool! Happy Wednesday! This sounds great, I love the cover! Love the cover of your WoW this week. I have not heard of the author or book. I will have to check it out!! ooh sounds interesting. I'm a newcomer here. my first WoW! Sounds like a great vacation read. Thanks for sharing! Aha! I thought it sounded familiar. This is a followup to Paddock's first novel 'The Secret Word', which followed the three main characters in high school... Looking forward to reading it! This sounds like a book I might enjoy. Great choice!!! I can't seem to add mine either! Like the sound of this one Jill - it's going on the list. This sounds pretty good. Don't see many Hurricane stories. OOPS IGNORE ME! I was trying to link up to the wrong WoW post! That's what happens to my mind during FCAT week at work; I thought today was April 11. Whoops!! Sounds like a good choice, interesting cover.